Mercury News reporter Steve Johnson notes that many government officials don’t even know the specific location of some of these hazardous pipelines. The Department of Transportation reports that these pipelines led to 71 “significant” accidents between 2005 and 2009, but another study by the group Common Ground Alliance puts the number closer to 320 excavation problems in 2009 alone. These types of accidents, on a larger scale, can lead to deaths and injuries as serious as the past San Bruno and Walnut Creek explosions. Following the San Bruno pipeline explosion, the fire marshal wrote in a May report that many state fire departments “had outdated maps and old contact lists” and did not provide local officials with maps of their liquid pipelines, despite a 1988 federal law that required them to do so. To solve this problem, fire marshal division chief Bob Gorham notes that the state of California could set up an online map of pipelines for emergency officials. The National Pipeline Mapping System also provides information on the location of many liquid pipes across the country. 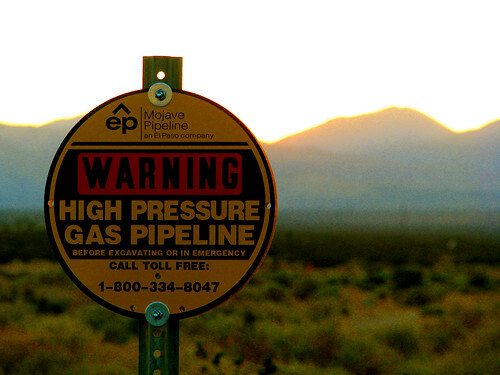 Check out the map to see if one of these dangerous pipelines is in your back yard. But maps aside, to seriously reduce the risk of future California pipeline explosions, owners and government officials must abide by safety regulations and take additional steps to assure that the pipelines don’t tread too near to potential dig sites or important sites like hospitals and schools.